The Fairmont Scottsdale Princess is already an ultra-luxe place for travelers to check-in to, but did you know the hotel has an even more elite way to experience the resort? The Fairmont Gold Experience steps up the service and amenities to a new level as the resort’s boutique hotel-within-the-hotel. Read up on the endless ways this experience will wow you. Even from the moment you arrive, your experience is next level. In between sips of your “taste of Arizona” welcome drink, you’ll be led to your private check-in area where your own private concierge will be on hand. Need help with reservations, transportation, insider tips on local faves or even printing out boarding passes? They got it. 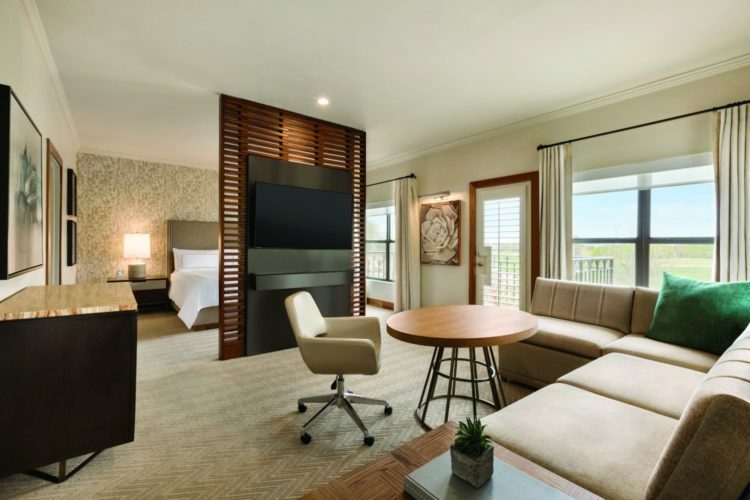 Located on the southeast corner of the resort, the Fairmont Gold accommodations have recently been upgraded and feature a modern bohemian chic design. Fairmont Gold Suites feature a divided living area and bedroom, each with their own 60-inch HDTVs. Other amenities include private balconies, travertine and granite-appointed bathrooms, upgraded linens, Nespresso coffee makers, plush robes and more. 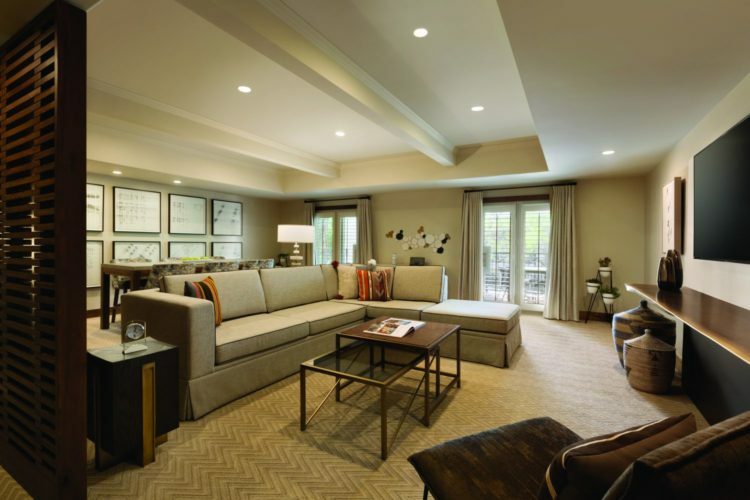 For even more space, the Fairmont Gold Master Suites are offered in one- or two-bedroom floor plans with spacious living rooms, a dining table up to eight and an additional bathroom. 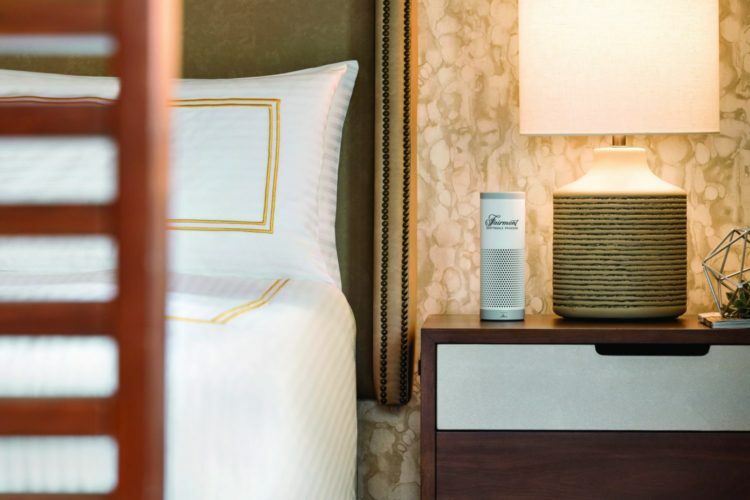 Start your morning right with a personalized wake-up call, complete with a custom beverage delivery within 10 minutes. Each of the Gold rooms comes with Alexa technology who’s the know-all on the resort. The hotel is the first to offer the hands-free, voice-activated calling feature via Amazon Alexa. Simply ‘ask the princess’ for whatever you may need and, voila! Schedule turndown service, request room service, ask where to find a drink in town, play music and more. Need a human? Now you can text resort management any time with requests, questions or comments, elevating the level of service even more. Rooms also have Sonicast, which allow you to control your TV from your phones. Or access even more goods and make your stay that much easier with the resort’s new smartphone Princess Navigator app. Get up-to-date info on events, hours of operation, booking links, menus, social media links and pin-point GPS technology. Aside from private daily service and pristine rooms, Gold stays include a complimentary breakfast in an exclusive lounge. Don’t expect bland eggs or bowls of cereal here; dine on items like crème brulee oatmeal, eggs benedict and more. And with a daily rotating menu, you can look forward to different savory treats each morning. The lounge also offers complimentary non-alcoholic drinks and snacks throughout the day, along with evening canapes, desserts and an honor bar. Staying on a Friday? 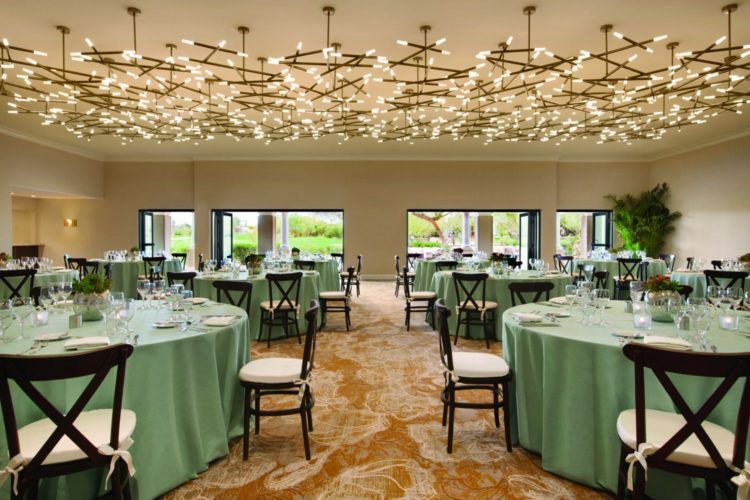 Experience a tasty intro to the resort’s assortment of dining outlets. Other special Gold perks include complimentary self parking; access to Well & Being Spa; free wifi and use of computers, chargers and iPads; business services; complimentary mail services; complimentary shoe shine service and garment pressing; board games; PressReader and more. The newly renovated Gold Meeting Center features 2,600-square-feet of event space with an adjoining 1,000-square-foot breakout room. 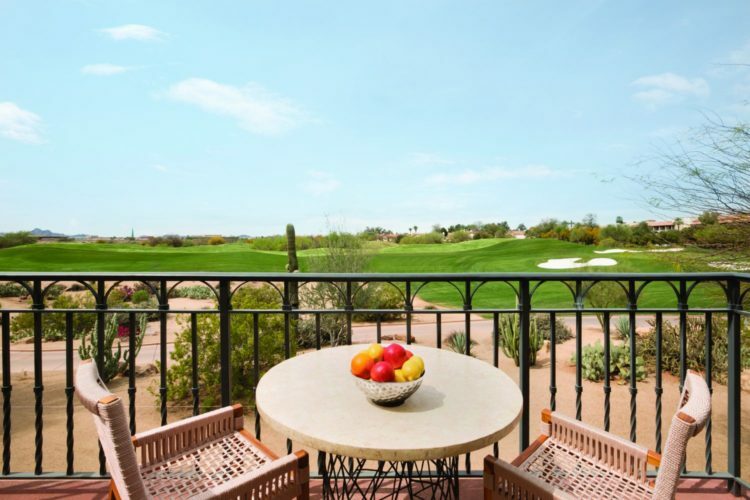 Natural light floods the space through the new floor-to-ceiling glass sliding Arcadia bi-fold doors and open up to a 6,000-square-foot patio overlooking the TPC golf course and McDowell Mountains. Groups of 100 or less can reside in the Fairmont Gold guest rooms while getting together in the new meeting center.